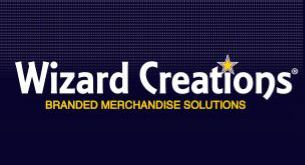 Wizard Creations - The best promotional products company with the service to match. Wizard Creations is promotional products agency that can create custom promos for your big event. Custom screenprinted and embroidered apparel. Over 700,000 customizable promotional items. Banners, Signs and all forms of Digital & Offset Printing capabilities. Quickest turnaround, best quality, and 105% lowest price guarantee. Javel Promotions offers corporate, branded and imprinted promotional products and are located in Ft. Lauderdale.